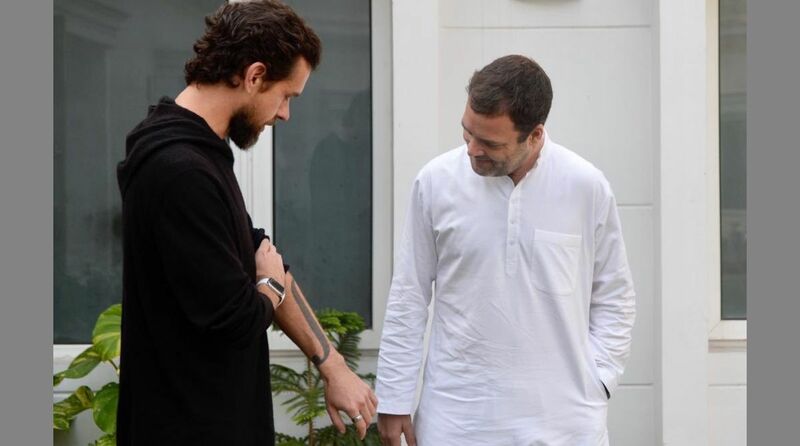 Twitter CEO Jack Dorsey with Rahul Gandhi in New Delhi on Monday. Twitter CEO Jack Dorsey met Congress President Rahul Gandhi in New Delhi on Monday and discussed various steps being taken by the micro-blogging platform to boost healthy conversation and check the spread of fake news. “Jack Dorsey, the Co Founder & CEO of Twitter dropped in to chat this morning. Twitter has grown into the most dominant ‘conversations’ platform globally. Jack explained some of the steps being taken to keep those conversations healthy & to tackle the menace of fake news,” Gandhi tweeted. Dorsey is on his first visit to India. Arriving last week, he met the Dalai Lama over the weekend. 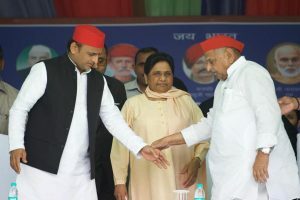 He was in Jaipur on November 11. On Monday, he was IIT Delhi where he met students and took questions from them. Dorsey is also expected to meet Union IT Minister Ravi Shankar Prasad amid criticism over Twitter’s role in the spread of misinformation and fake news as India goes Assembly polls in five states ahead of the general elections scheduled next year. The social media network has 336 million users globally, and it is working towards curbing the spread of fake news through its platform and creating an environment for healthy conversation.